Black hair have had more than its days – began with a rough start but I pray we don’t let it end in a bad way. Our ancestors were taken from their homes to foreign lands where they had to succumb to the European’s idea of beauty. Strain has been upon our hair from then to now on how it’s suppose to look and behave at different intervals. 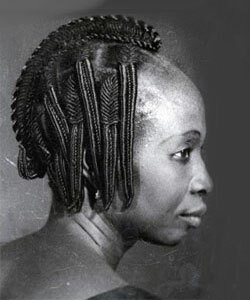 This post serves to inform individuals of the African descendants of the evolution of their black hair.